Having been a fan of computer and videogame systems since the early 1980s, I’ve steadily built up a collection of home computers, consoles and arcade hardware which have either been bought as new when originally released, or picked up further down the line from car boot sales, retro stores or from fellow collectors. The purpose of this site is to detail some of the items I own, some of the events I've been to, and pull all this together in one location. It's my aim to try and include content that's either nowhere else on the web or extremely difficult to find elsewhere. Arcade machine collectors may find the Out Run Serial Numbers Index section of interest. It's a small project of mine where I'm attempting to catalogue the details of as many Out Run arcade machines as I can. 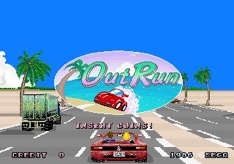 If you have an Out Run arcade cab and it's not listed, please email me over the details so I can add it to the list. I'm always on the lookout for new Out Run cabs to catalogue or for updated info on currently listed machines. If you don't have an Out Run cabinet in your collection then perhaps the JAMMA Supergun section may be more your thing. If home computing is something that interests you. 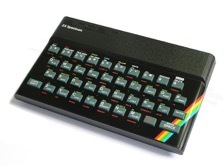 If so, please check out the Computers section of the web site, where I'll be adding information relating to the Amiga, Spectrum and a number of other micros over the coming months. Should consoles be more your thing then please visit the Consoles area. I'll be adding details of more and more systems and add-ons as time goes by. Whether you're into retro computers, consoles, arcade machines, retro computer/videogame books or simply want to have a look at some of the retro events I've attended over the years, I hope there's something here to hold your interest.